Tonight .. 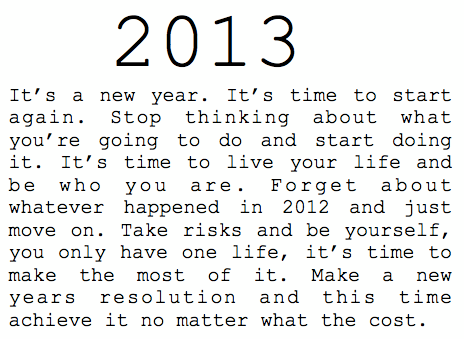 RIGHT NOW.. is the first - blank - page of a 365 pg book.. write a good one! 4 comments on "Happy New Year! " Love it! 365 days to make a difference. 365 opportunities to take hold of. Oh, I can't wait! @ Stephanie.. Yes, ITS A NEW YEAR!! We are moving to Florida this year and its very exciting! I hope you also have a great New Year! @ Maria.. thank you! Can't wait to get to know you more in the future! Happy Happy New Year!